An app for a positive mind! A positive mind cannot be pulled back! Whatever be the challenges the life puts before you, they can be tackled with a positive mind. Clickastro.com, the portal with more than a million followers across the globe advocates positivity through personalised astrology guidelines. 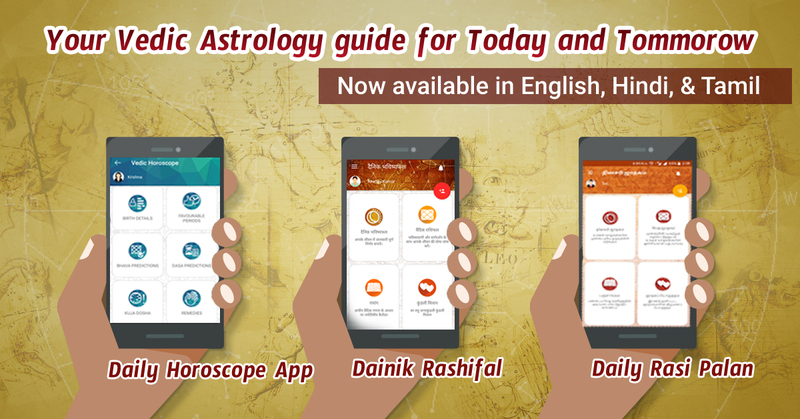 Accessing this portal and exploring its horoscope solutions is now easier with the web app “Clickastro – Horoscope: Rashifal: Astrology“. Accurate future forecasts and positive horoscope solutions to the various concerns on your life can be now known from your mobile. Clickastro is a one-stop-site for all astrology solutions. One touch on your mobile screen will take you to this unique astrology portal! How significant is this app for you? 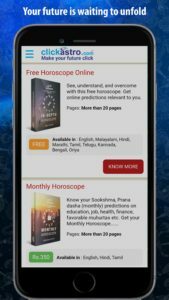 The importance of the app ‘Clickastro – Horoscope: Rashifal: Astrology’ is that it lets you avail all horoscope services of the clickastro.com. This includes Sun Sign (Western Astrology) and Moon Sign (Vedic Astrology) predictions which you can check on a daily basis to acquire a positive mindset for your daily activities. The app also lets you read your detailed horoscope (of more than 60 pages) on your mobile screen. By submitting your birth details (the date, time & place of your birth), clickastro.com generates your comprehensive horoscope report in pdf format and sends it to your email. 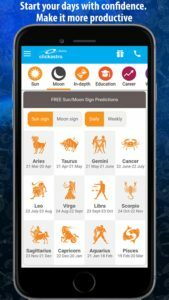 In addition to these, the app gives you access to clickastro’s wide menu of special horoscope reports focusing predictions and guidelines to specific aspects of your life. 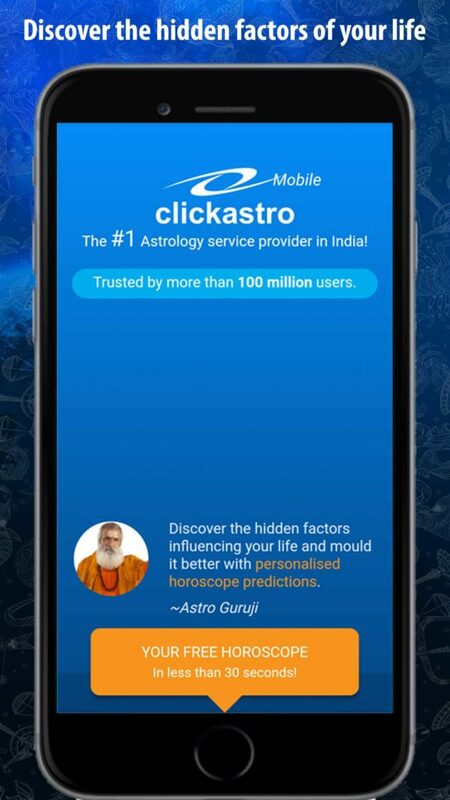 A unique benefit you get from this app is it helps you consult India’s most famous astrologers. Using your mobile, you can choose the astrologer whom you want to consult and get effective personal advice to tackle specific concerns or problems in your life. Special Horoscope Reports of clickastro.com analyses the various horoscope features that influence the specific areas of your life in one way or other. The portal offers you reports such as Career horoscope, Marriage horoscope, Wealth horoscope, Education horoscope, Kundli Matching report etc. They help you know about the various astrological factors particular to your kundli or horoscope that influence your career, marriage, wealth or education. These reports let you take a positive drift in specific aspects of your life by suggesting valuable guidelines and remedies to the doshas in the horoscope. The Kundli matching or marriage matching reports lets you check for free, the marriage compatibility between two individuals. The array of clickastro special reports also include Numerology report, Gem-Recommendation report, Transit predictions etc. 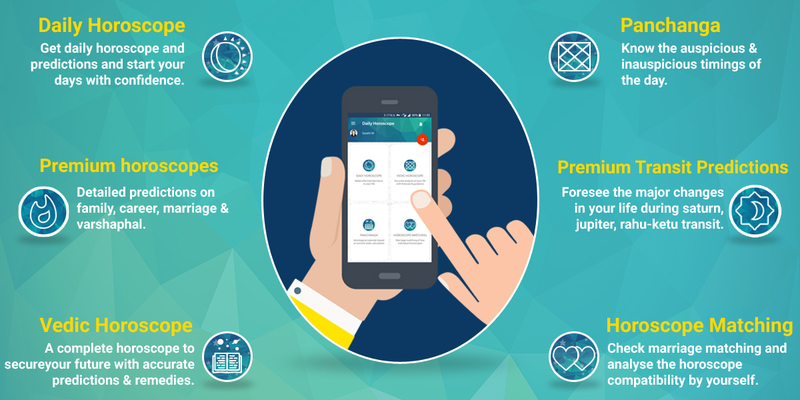 Download the app now to get predictions on various aspects of your life. What will be your daily luck factors! 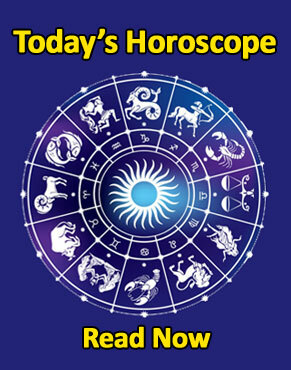 Daily Horoscope app with forecasts on your near future. Previous Previous post: Horoscope of Sachin Tendulkar !